Aim: To observe and comment on anatomical details of certain organs/structures in mammals. A. 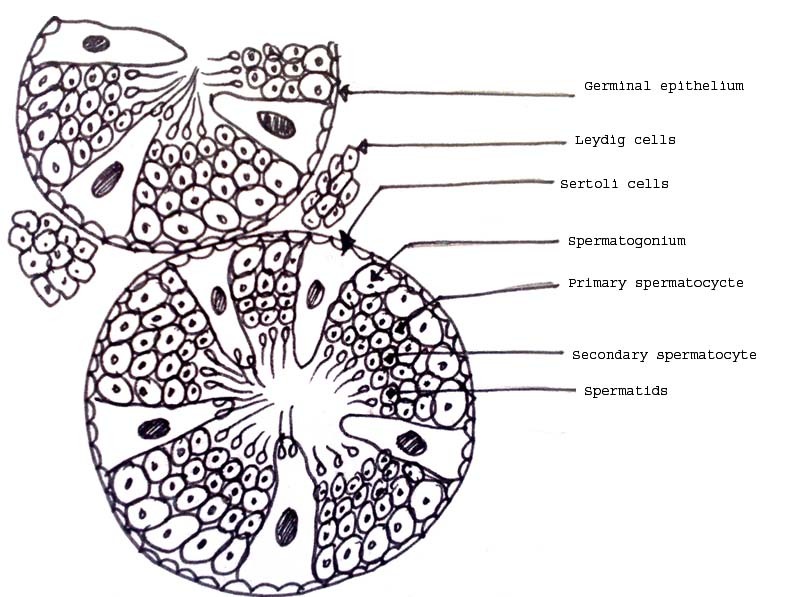 Slide showing T.S of mammalian testis. 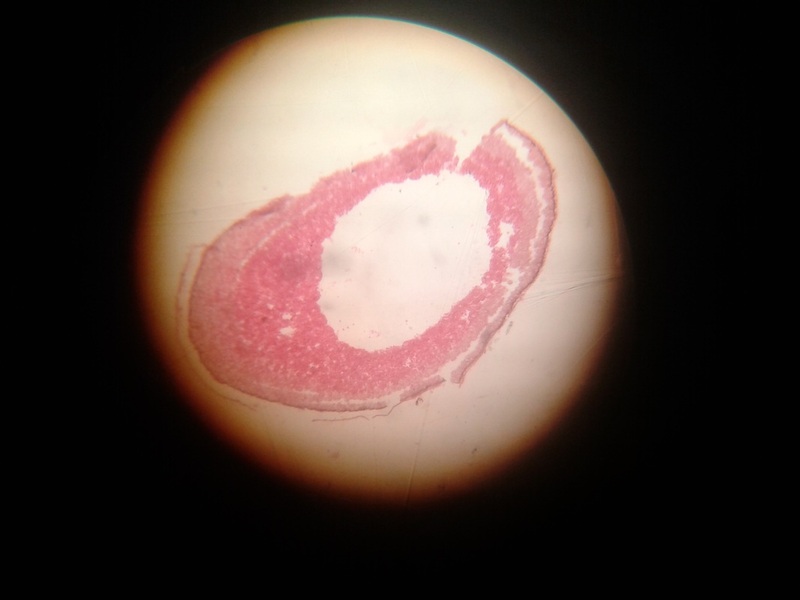 Seminferous tubules are numerous and somewhat rounded or oval in section, embedded in connective tissue mass. 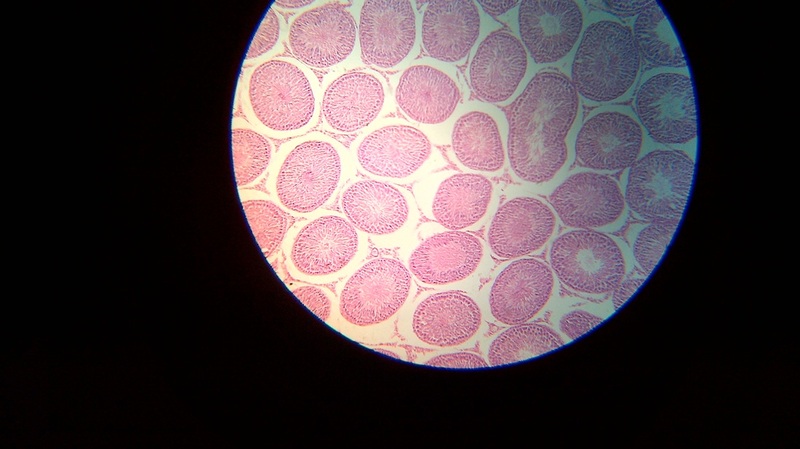 It is bounded by germinal epithelium flowed by thick layer of fibrous tissue, the tunica albuginea. Stroma is formed of connective tissue, interspersed with blood vessels, nerve fibers and spindle shaped cells. 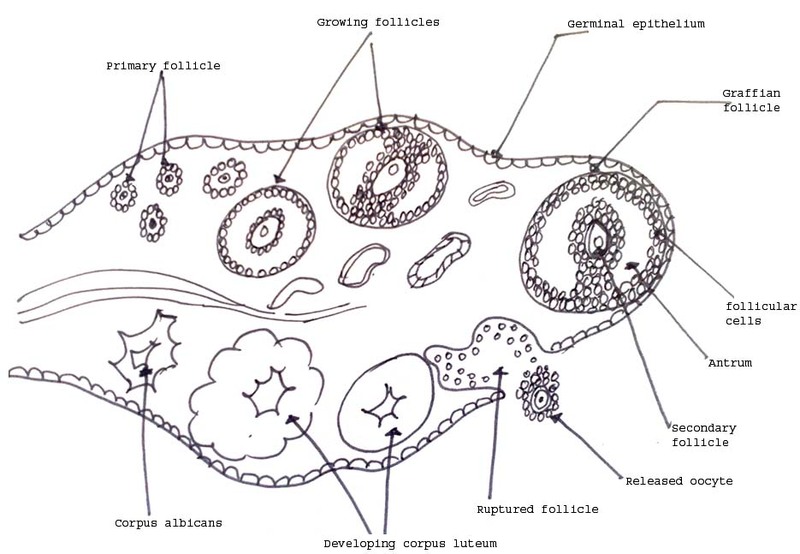 A primary follicle consists of a central ovum surrounded by a group of follicular cells. Inner cell mass seen towards a side. 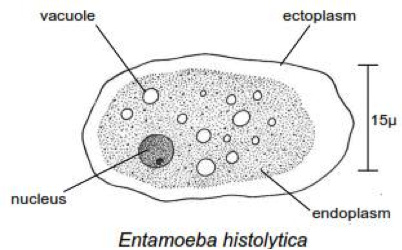 Aim: To study and identify common diseases causing protozoans like Entamoeba and Plasmodium through permanent slides. 1. It usually measures from between 12 and 20 microns. 2. 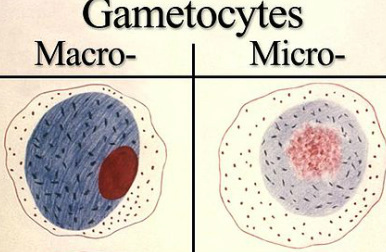 The cytoplasm usually contains little debris with a fine outer membrane. 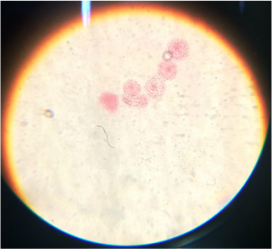 Plasmodium spp. rings have large chromatin dots. The enlarged size of the infected RBCs. 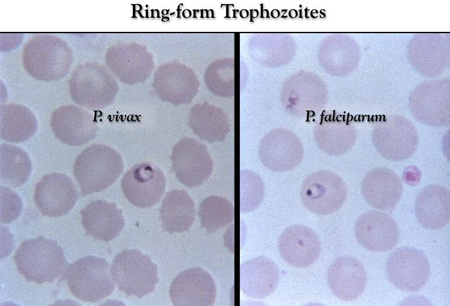 Plasmodium spp gametocytes are round to oval with scattered pigment. They almost fill the red blood cell.